Instructor Sgt. 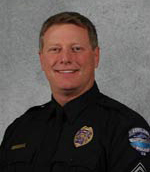 Bob Shaffer has been a police officer and sergeant for the Loveland Police Department in Loveland, Colorado since 1986. Sgt. Shaffer has completed over 200 hours of basic, advanced, and advanced mentoring instruction in modern statement analysis techniques. He has been providing quality classroom training in statement analysis since 1997 throughout the U.S., Canada, the Asian Pacific, the Middle East and Mexico His LSAT skills are often solicited by law enforcement agencies throughout the U.S. in the course of their criminal investigations. Bob earned his Bachelor of Arts degree in Secondary Education from the University of Northern Colorado in 1981. He spent six years teaching at the high school and junior college levels in addition to instructing law enforcement related topics extensively in local Colorado police academy programs and been featured as a guest speaker and numerous professional investigation conventions in the United States. He is a member of the teaching staff of P.A.T.C., (the Public Agency Training Council), the Ohio Police Officer Training Academy in London OH, and is a member of the National Association of Investigative Specialists. This course is highly recommended for law enforcement professionals, prosecuting attorneys, arson investigators, private investigators, human resource specialists and social workers. The Linguistic Statement Analysis Technique (LSAT) is a discipline that is highly effective in the detection of deception, truthfulness and identification of hidden information in a subject’s written or spoken statements. LSAT involves scientifically examining the word choice, structure and content of a subject’s statement to determine whether it is truthful or deceptive as opposed to the traditional emotional method of rationalizing the events in the subject’s story. The sentences above are a small segment taken from a murder suspect’s written statement. They appear to be rather insignificant but believe it or not, this segment contains SIX signals that the writer is likely to have committed the murder! He even tells us when he committed it! The information taught in the class will teach you to immediately recognize why the statement tells us this and will make the linguistic signals jump off the page at your eye! Using LSAT, the interviewer knows prior to the interview, what the deception is and where it lies. The interviewer/analyst focuses directly upon those areas, using a competent interview technique, and compels them to confess. Investigators will save countless hours of hit-and-miss interviewing.Students will also learn how to develop and use the LSAT Investigative Questionnaire, or “IQ”. Using the IQ, one investigator can “interview” an unlimited number of suspects at the same time for virtually any offense narrowing the suspect list to only a handful in a matter of minutes. 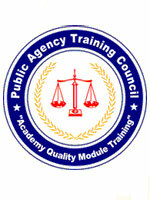 The basic course is conducted over two and a half days. It is highly interactive with a significant hands-on, statement analysis practice. There may be a small amount of homework involved, but it is very challenging and very enjoyable for students. Students are encouraged to bring with them statements from past or current cases that might be used as examples in class. Every student is provided with a workbook and all items needed to successfully participate. Each student will also be provided markers, pens, rulers, and handouts. Students should bring a simple, scientific pocket calculator. Understand concepts of truthfulness and deception. How to maximize efficiency and effectiveness when interviewing; Insight into the thought processes of deceptive people. Applying the detailed analysis process of examining the components of statements to gain the most information possible to help gain confessions and dramatically improve confession rates. Develop a basic ability to interpret the results of an analysis. Integrating the information given by linguistic signals to complete a complete, vivid image of the reality behind the story. Maximizing potential for obtaining information. Establish the expectation with the target of an interview that they will offer information. Develop alternative an interview strategy. Develop interview strategies that will allow the interviewer to take full advantage of the information learned in the statement analysis, compelling suspects to confess. How to use the subject’s own words against them to elicit confessions. Acquire understanding of and ability to compile the IQ questionnaire, the written investigative tool that will allow investigators to interview unlimited number of suspects in a matter of minutes and reduce the suspect pool by up to 95%.